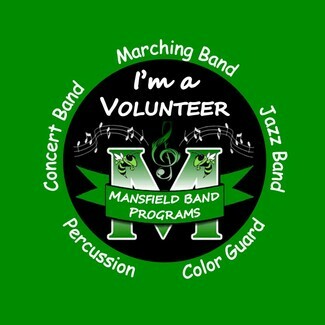 Gillette Concessions is the primary funding engine for the MHS / QMS Band, Percussion, and Color Guard extra-curricular programs...thanks in advance for volunteering your time! When signing up, please sign up for volunteer slots ONE AT A TIME..if you wish to signup for 2 people, enter 1 in the quantity, submit fill in all information, go back in and sign up the second person and submit again. Students are NOT permitted to work evening events on a "school night" during the school year. MBPA's primary concession booth is Backyard Barbeque (BBQ140) - you will be notified in advance if we are staffing a different location for any given event. You will receive a confirmation email the week before the event, which will explain everything you will need to know from what to wear, times to meet, and what to bring. Parking for NON-FULL Stadium events like Revs games. Lot #'s around Stadium and Patriot Place retail locations. (Sat. 6:00am - 1:00pm) MCPHS Graduation, 9 a.m. start. EASY DAY FOR FIRST TIMERS!! (Sat. 4:00pm - 11:55pm) Monster Jam (7:00 Showtime) Only 6 students per shift. (Fri. 2:30pm - 11:55pm) Luke Bryan-Sunset Repeat Tour (7:30 Start Time). Only six students per shift. (Sat. 8:00am - 11:55pm) Dead & Company Tour 2019 (12:00 noon Start Time). Only six students per shift. (Sun. 1:00pm - 7:00pm) International Soccer Game, Milan AC v. Benfica, (3 p.m. kickoff). Only six students per shift. (Sat. 2:30pm - 11:55pm) George Strait Concert Time TBD. Only six students per shift. (Thu. 3:00pm - 11:00pm) Preseason: Patriots v. Panthers. Kickoff is 7:30 p.m. Only six students per shift. (Thu. 3:00pm - 11:00pm) Preseason: Patriots v. Giants. Kickoff is 7:30 p.m. Only six students per shift. (Sun. 8:30am - 5:00pm) Game 2: Patriots v. Jets. Kickoff is 1 p.m. Only six students per shift. (Sun. 11:30am - 9:00pm) Game 4: Patriots v. Browns. Kickoff is 4:25 p.m. Only six students per shift. (Sun. 11:30am - 9:00pm) Game 5: Patriots v. Cowboys. Kickoff is 4:25 p.m. Only six students per shift. (Sun. 11:30am - 9:00pm) Game 6: Patriots v. Chiefs. Kickoff is 4:35 p.m. Only six students per shift. (Sat. 11:30am - 9:00pm) Game 7: Patriots v. Bills. NFL may switch to 12/22. Kickoff TBD. Only six students per shift. (Sun. 8:30am - 5:00pm) Game 8: Patriots v. Dolphins. Kickoff is 1 p.m. Only six students per shift.